Young adult novels, particularly those that delve into the supernatural, follow a particular formula. The main character is usually an outcast who discovers they have some form of esoteric heritage that allows them access to the world within the world. Soon after a darkness resurfaces, threatening to end all of creation. While this recipe continues to evolve, the central themes of family, isolation, and courage remain steadfast. 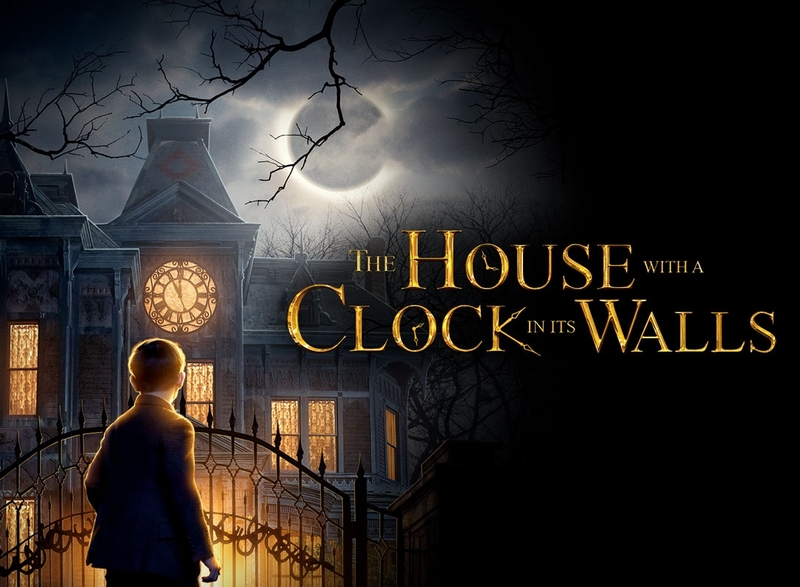 Eli Roth builds on these essential ingredients and transmutes them into a fantastical neo-Gothic fable in his bravura adaptation of The House with a Clock in Its Walls. This is a refreshing example of cinematic convergence. Jon Hutman's vintage production design blends with Rogier Stoffers' crisp cinematography to catapult the viewer inside the story. Vibrant magentas and reds flood the optics while Roth stages each sequence as a separate vignette of playful terror. The initial act doubles as both an introduction to the world and a potential murder mystery. While each of the characters (and their eccentricities) are explored, the dark undercurrent of the eponymous house is methodically doled out to the viewer, setting up the next arc. The film then transitions into what initially appears to be a typical coming of age of story, bolstered the by strange happenings within the house. However, as the narrative progresses, Roth takes the expected tropes and spins them into unexpected directions. The helpful, popular friend may not be so benevolent while the warrior who no longer fights reveals the utter darkness that robbed her of her will to stand against evil. It is this melding of mature themes with magical expressionism that forms the heart of the story. Jack Black continues to show his affinity for young adult oriented content. His performance as Uncle Jonathan is layered, beginning as the usual farcical jester Black is accustomed to playing and slowly revealing an amalgam of familial dysfunction and reluctant heroism. He is supported by the incomparable Cate Blanchett. Their chemistry is pitch perfect for a film such as this. Their playful banter immediately sets the tone and as the revelation of their bond takes hold, the poignant underpinnings of the script manifest in unexpected ways, both blood chilling and heartwarming. Kyle MacLachlan and Renee Elise Goldberry have extended cameos that also merit mention. While this is Black and Blanchett's show, their villainous countenances dominate every scene in which they appear. Rounding out the cast is Owen Vaccaro as Jonathan's youthful apprentice, delivering a performance that shows this young man has a vibrant career ahead of him. In theaters now, The House with a Clock in Its Walls is a resounding triumph for Roth. After taking the horror genre by storm with Cabin Fever and Hostel, reception to the director's subsequent films has been lukewarm. His latest however reveals that his obvious love for the classic era of horror, combined with his proficiency behind the camera is the perfect marriage, signaling perhaps, that Roth has found his niche.